Being a good writer means that you can communicate effectively, which can give you a competitive advantage in the business and academic worlds. To become a good writer, however, you need to practice, practice, practice. 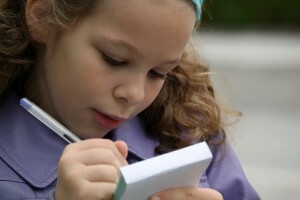 If you'd like to help your child in this respect, this post will share a few ideas on how you can motivate them to write more. For starters, you should write, too. It's probable that your child won't believe writing is enjoyable and enriching if they don't see you do it, so be their role model. Likewise, you need to make "writing time" a relaxed and fun occurrence. This means you shouldn't make your child write unless they want to. Also, don't be too strict: forgive their mistakes so that they don't feel stressed while writing. Writing comes easily when you have something to write about. To that end, find topics for your child. Maybe they can document their days or express their feelings/thoughts in a journal. You can even work with them to create a short story. Reading magnificent material by skilled authors will likely inspire your child to use their own imagination. That's why you should make it a point to read more if you want them to practice. As a final tip, you should support your child and their writing. For example, you should help them if they have grammar, vocabulary, or spelling questions. You should also read the material they share with you, and always give them a kind word about it. The Tutoring Center, League City TX has a "Geniuses in Training" Writing Program aimed at students who would like to master this crucial academic skill. Call (281) 337-2800 for more information on the benefits of tutoring in League City TX, or to request a free diagnostic assessment.